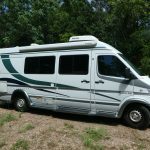 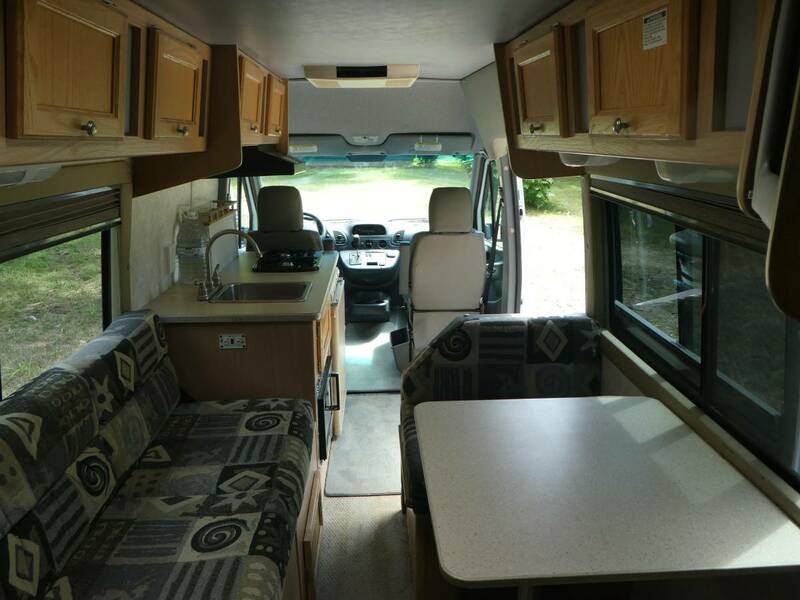 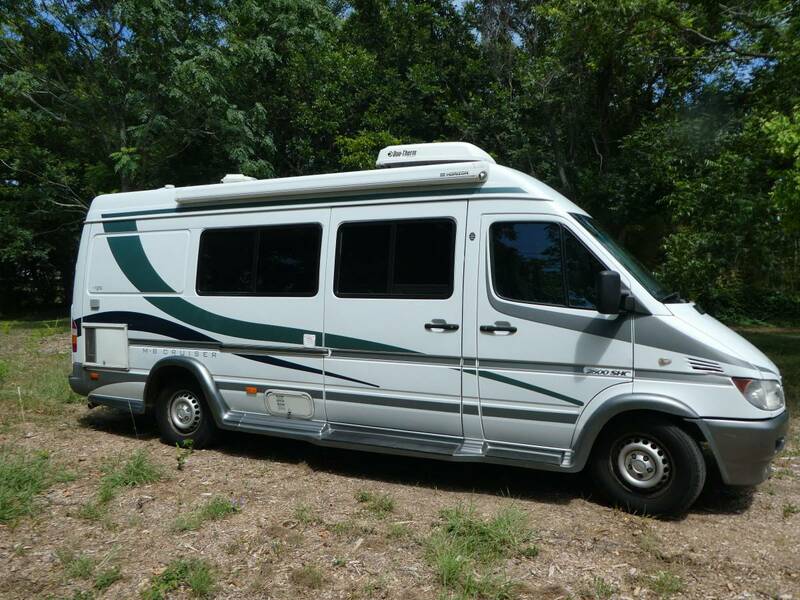 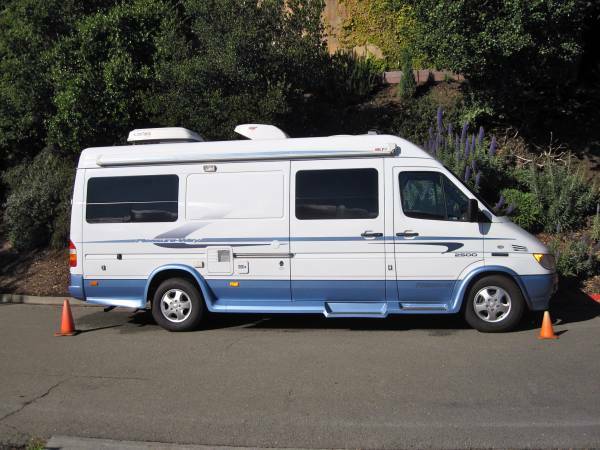 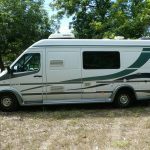 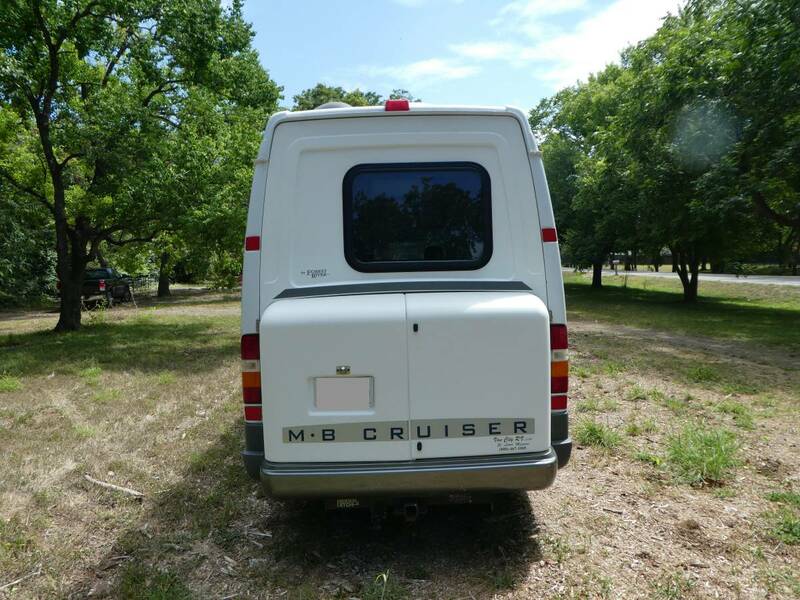 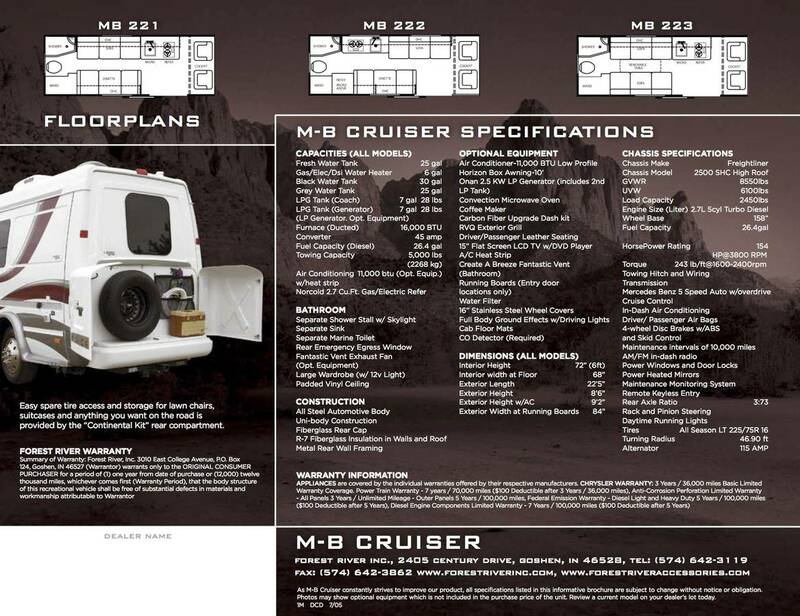 We have purchased a larger RV and are putting our beloved MB Cruiser up for sale. 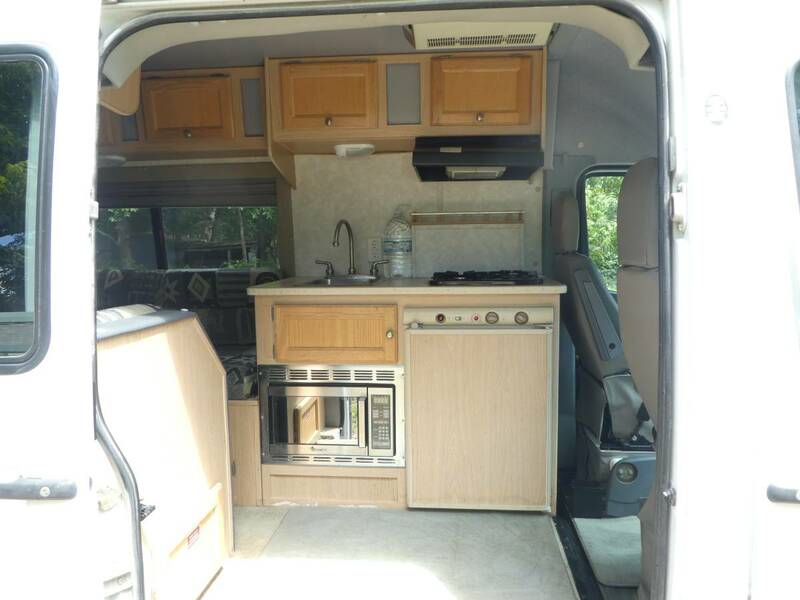 It is by Forest River and is model number 221. 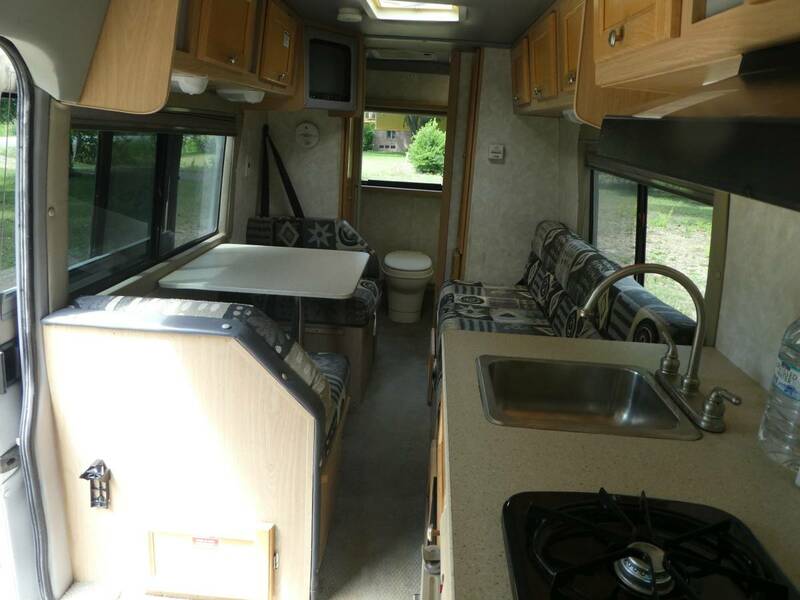 It is fully self-contained with a generator, roof a/c, potty, shower, fresh water tank, black/gray water tanks, 3 way fridge (propane/110V/battery), trailer hitch, furnace, small TV, and awning. 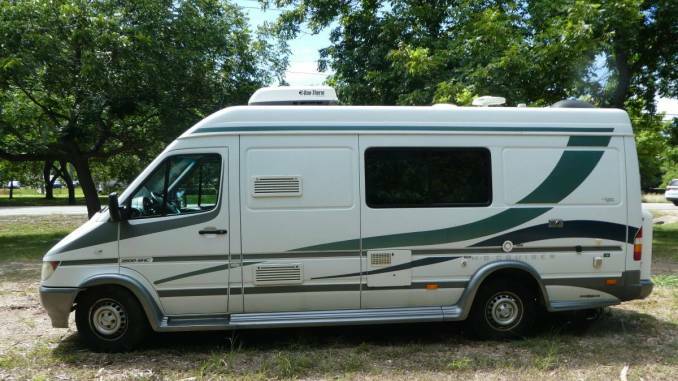 This RV has been an absolute joy to own. 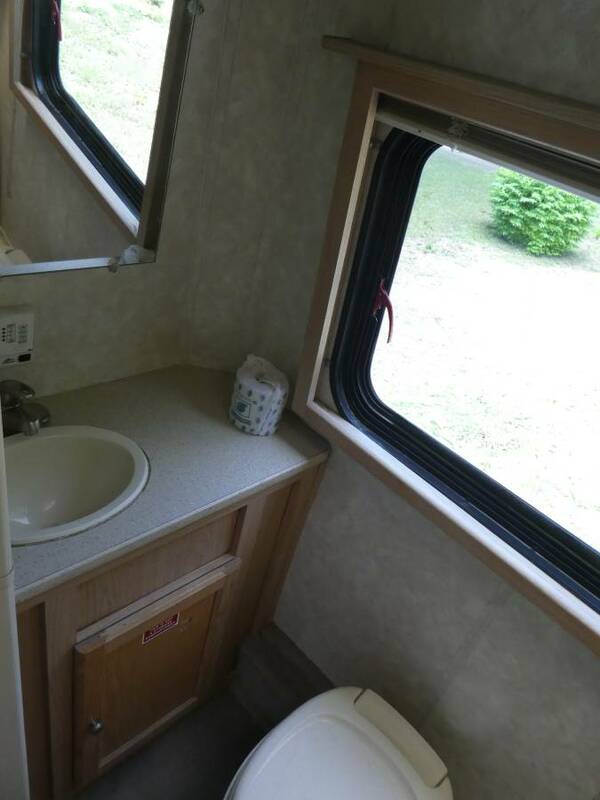 It is small enough to fit in a regular parking spot, but still has all the necessities. 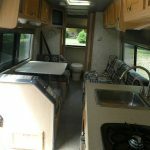 We have used it for camping, road trips, festivals, football games, and concerts. 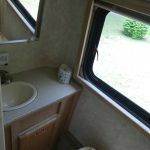 There is nothing like having your own air conditioned or heated bathroom that fits in a regular parking spot for these events. 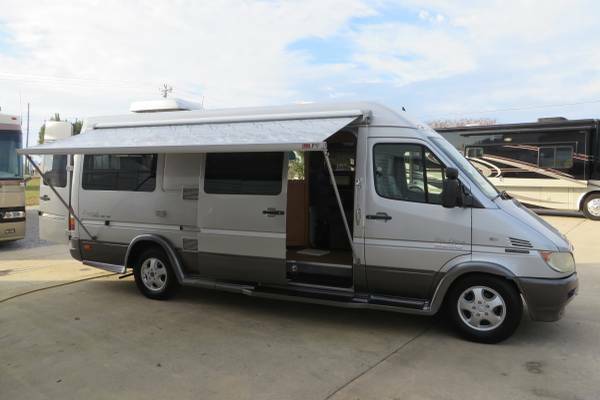 It will carry 7 passengers comfortably but only sleeps two adults and maybe one child. 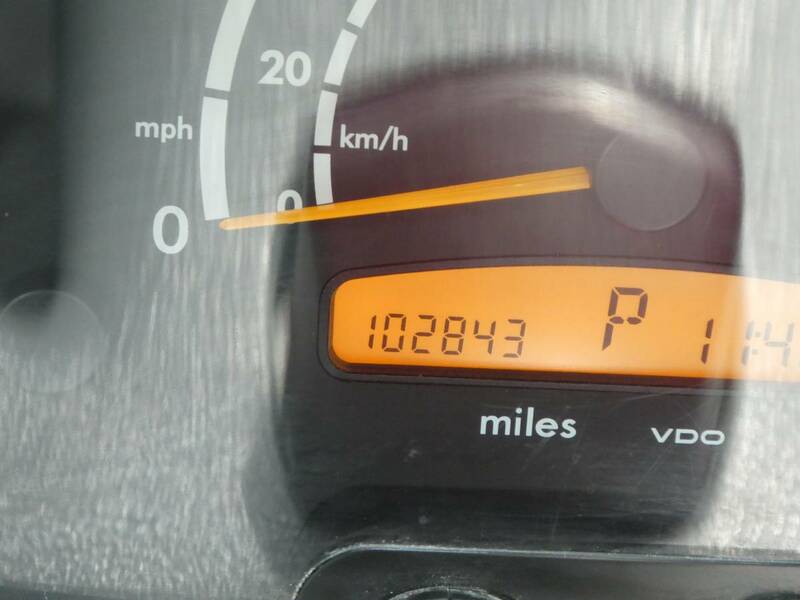 It currently has 102,843 miles which is just starting to get broken in for the 5 cylinder Mercedes diesel engine. 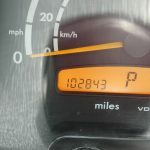 The mileage may change as we still use the RV. 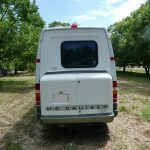 We average 22 miles a gallon, even while pulling a small aluminum trailer with our bicycles. 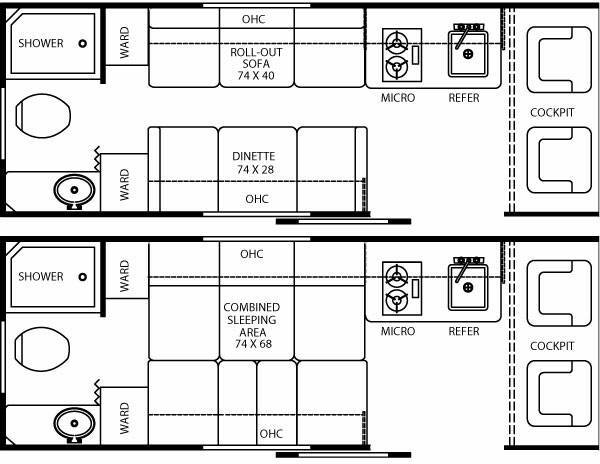 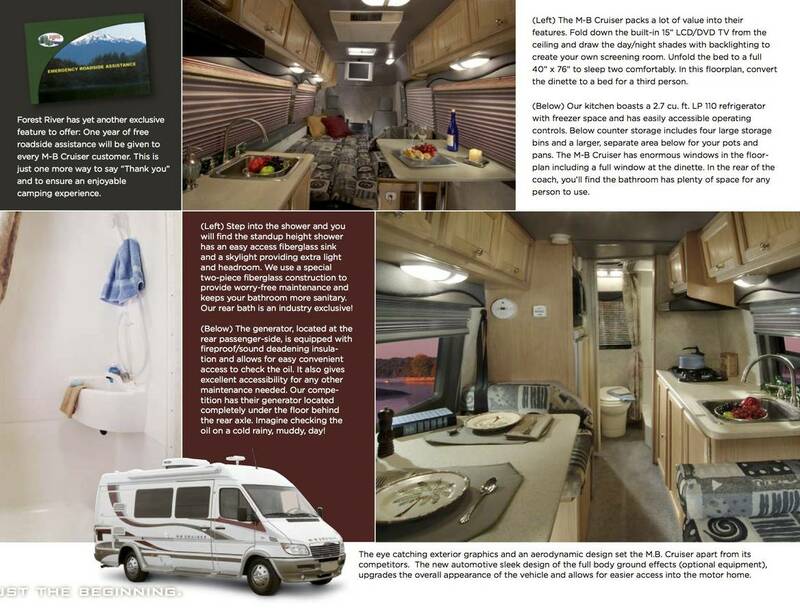 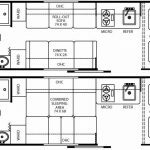 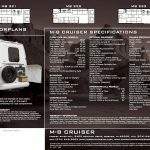 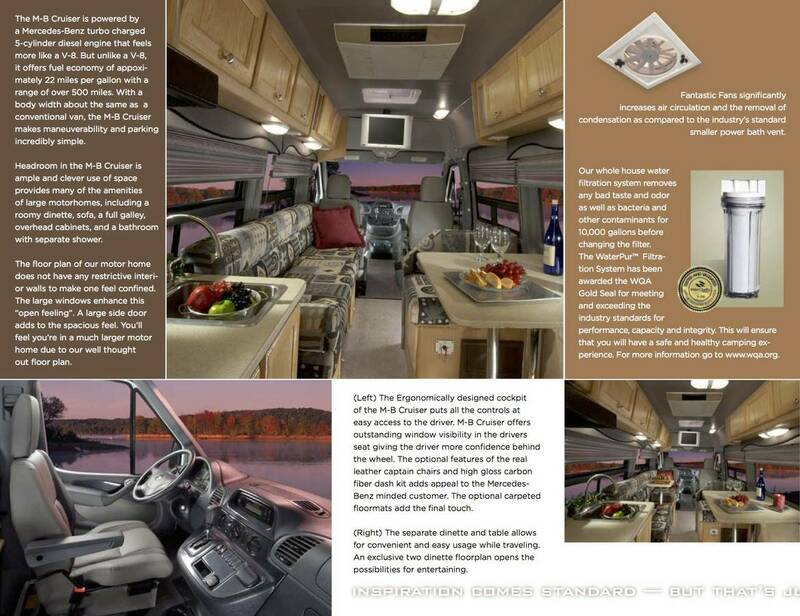 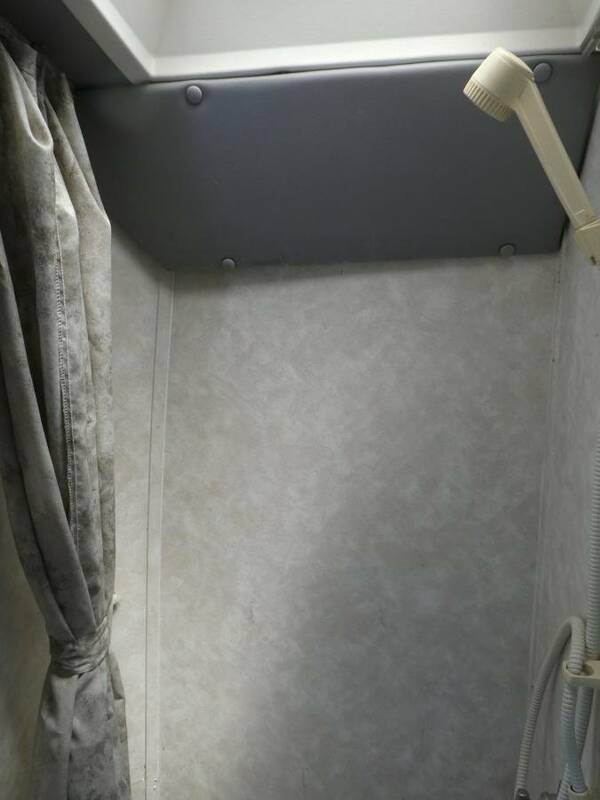 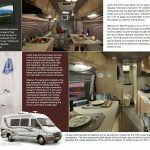 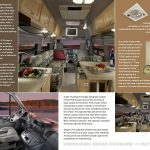 This RV has been maintained to the manufacturer’s specifications and comes with a large file of maintenance history and all of the manuals. 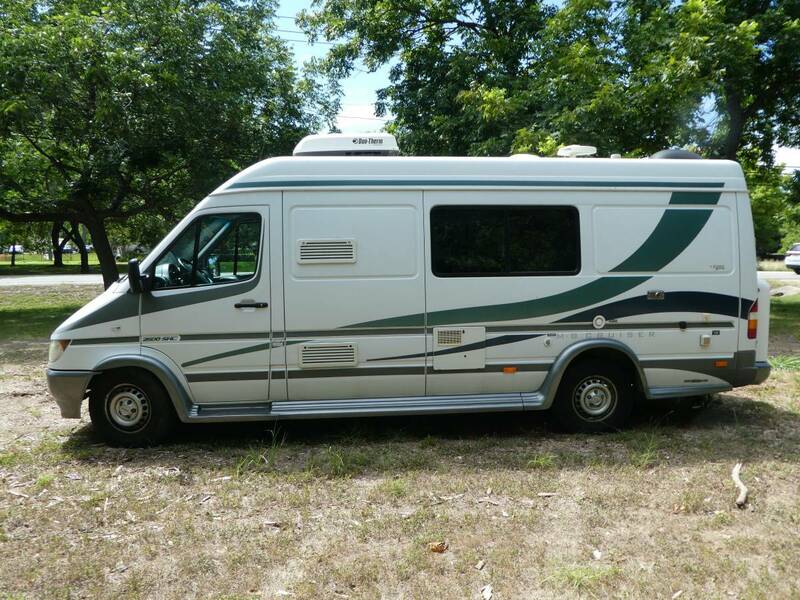 This is a pretty rare model. 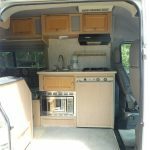 It took me 6 months to find a good one when I purchased it 5 years ago. 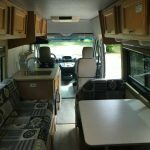 I also had to travel to Missouri to get it. 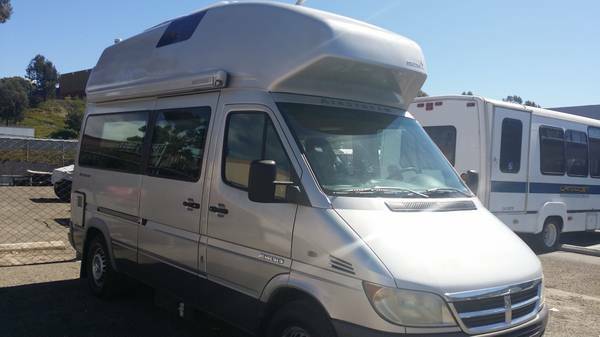 Please no low ballers or scammers. 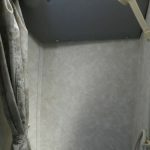 This RV is priced below NADA value and I am not in a hurry to sell it.